Effective September 1, 2018, Europe will begin its removal of halogen light bulbs. The new ban is in response to a worldwide effort to reduce further damage to the environment by transitioning away from halogen bulbs and switching to more energy efficient LEDs (light emitting diodes). European Union legislators hope the phase out will encourage consumers to convert to LEDs. LED light bulbs are the green solution when it comes to lighting efficiency. They not only help reduce global warming effects from C02 emissions, but also consume as much as 75 percent less energy than outdated halogen bulbs. The EU (European Union) legislation first announced the motion back in 2009. The motion was to phase out the use of halogen bulbs by 2016, however it was delayed allowing consumers more time to prepare for the transition. With the ban finally being implemented, it is expected to have tremendous effects throughout European Nations. This is equivalent to roughly 115 Euros over the lifetime of each bulb. It’s difficult to say what the immediate financial effects will be in the market place, since the ban is only removing 40W and 60W halogens for now. In some cases, it may cost anywhere from €100 to €115 to replace all the bulbs in a home. Consumers will feel the initial sting from the ban due to upfront costs once all working halogen bulbs burn out. There is still no need to throw out your working halogens in your home. 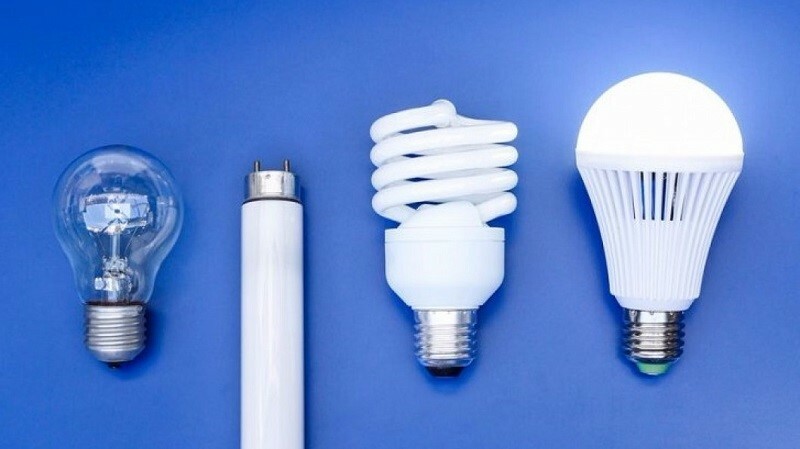 The ban does not require homeowners to throw them out, however manufacturers will no longer be allowed to produce these bulbs as of September 1, 2018. This will result in the phasing out of production lines and employees that currently operate them. In addition to labor losses, publicly traded manufacturers may see some decrease in their overall market value. Retailers that currently sell halogen bulbs will be allowed to sell off their existing stock but will not be allowed to replenish their inventory once it has been depleted. Companies like The Halogen Lighting Products Corporation (HLPC), one of the largest specialty manufacturers of halogen bulbs, may be forced to adapt to the increasing world-wide effort to remove inefficient light bulbs from the market. Manufactures will need to increase the efficiency by as much as 70 percent if they wish to continue selling halogen bulbs. 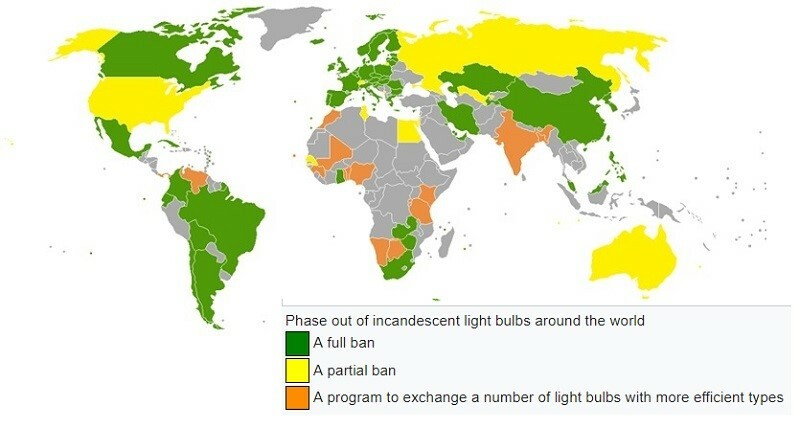 Another option for the existing bulbs is to send them to countries in Africa and other parts of the world that currently do not have a ban on lighting standards. In addition, other businesses who specialize in selling replacement bulbs should expect to see an increase in LED lighting sales over the next several years. This is due to LEDs having a much longer life span and requiring very little maintenance and replacement. Will the Cost of LEDs Rise Due to the EU Ban? Initially, no. The technology for LED lighting is constantly changing and improving dramatically. The initial costs of replacing halogen bulbs is expected to be the largest cost involved. Each LED bulb is considerably more expensive than a halogen light bulb, which on average varies between $5-$10 per bulb. However, the life span of an LED light bulb is significantly longer, making frequent replacements unnecessary. LED Bulbs can last up to 65,000 hours versus the average halogen Bulb that lasts around 3,000 hours. In an interview with LUX Magazine, Diederik de Stoppelaar, the Secretary General for Lighting Europe, says he anticipates that the cost of an LED bulb will be reduced to the cost of a CFL by 2020, which would encourage consumers even further to replace halogens to LEDs. Can We Expect US and Canada to Ban Halogen Light Bulbs as Well? The answer is yes and no. Canada has already implemented a complete ban of halogen light bulbs. In 2014, Canada banned 100W and 75W halogen bulbs, and the following year extended the ban to phase out 40W and 60W light bulbs. In the U.S., only a partial ban has been set in motion. The phase out of halogen bulbs in the U.S. was signed into legislation by President Bush back in 2007. Do you think it is necessary to legislate the move away from halogen bulbs or do you think the market would eventually have done this on its own? Tell us what your take is on the phase out in our comment section below! For blog updates, industry news, cool videos, product reviews, funny memes, free giveaways, and more, like our Facebook page! And don’t forget to follow us on Pinterest and Twitter!